Goulds Pumps – Residential & Commercial Water is a global leader in the water technologies market, producing the world’s leading line of residential water well pumps. Goulds Pumps distributors offering product portfolio includes Goulds submersible pump and line shaft turbine, 4″ submersible, jet, sump, effluent, sewage, booster, centrifugal and Goulds spa pumps for Miami residential, agriculture and irrigation, sewage and drainage, commercial and light industrial use including water, booster, and sump..
Myers is dedicated to supplying top quality jet and submersible well pumps; utility, sump and sewage pumps; effluent pumps; non-clog and other large waste handling pumps; and high pressure reciprocating and centrifugal pumps and pumping systems for residential, agricultural, commercial, municipal and industrial applications. Baldor Electric Company manufactures of complete line of Industrial Electrical Products that include a wide range of AC and DC electric motors, motor controls, gearmotors and speed reducers, grinders, generators and Baldor pumps. WELLMATE composite tanks have become the tank of choice in residential and commercial applications for their unmatched performance over steel. They contain no steel, so they can’t rust. They require little or no maintenance because their fiberglass-wound and epoxy-resin-sealed outer shell won’t dent, and there’s no paint to scratch or touch up. Their light weight (less than half that of steel tanks) makes them quicker and less costly to install. Plus, they are 100% lead-free, and will not introduce undesirable chemicals or elements into the water. 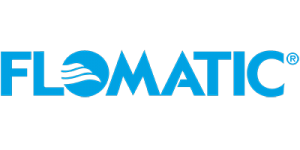 Flomatic® Corporation located in Glens Falls, upstate New York, is a manufacturer of high quality valves primarily for domestic and municipal water and wastewater applications. Forrest S. White founded the company in 1933 in Hoosick Falls, New York (40 miles north east of Albany) as the White Flomatic® Corporation. The Company’s position in the worldwide market was further improved in 1992 when it introduced the first unleaded bronze valves, the ENVIRO CHECK®. Grundfos is one of the world’s largest manufacturers of pumps, providing water for homes, farms, commercial buildings, and industrial uses. Featuring unique stainless steel construction and the latest in electronics, Grundfos pumps are recognized for reliability and value throughout world-wide — wherever water moves. Grundfos maintains an extensive network of manufacturer representatives, distributors, and dealers to serve customers in Miami, the Caribbean and nationwide. Long recognized as the world’s largest manufacturer of submersible electric motors, Franklin Electric has been able to leverage its expertise in motor applications to grow and serve many markets in the industry. Innovation. Quality. Service. Headquartered in Bergen, NY, Liberty Pumps is a leading U.S. manufacturer of pumping products for ground water and wastewater removal in residential and commercial applications. With a focus on innovative product design, our wide range of pump styles includes; sump pumps, sewage pumps, effluent pumps, drain pumps, grinder pumps, complete pre-assembled sewage packages, and pump accessories. Utilizing a vast network of Plumbing Wholesalers and Pump Distributors, Liberty’s products are relied on by hundreds of professional contractors each day. Customers love our new and innovative submersible pumps, jets and sprinklers, sump, sewage and effluent pumps, pressure tanks that offer a choice of either steel or fibrewound. Our swimming pool and spa products can be found in the homes of some of Hollywood’s most famous stars and in popular resorts and water parks throughout the world. And we’re quickly becoming a recognized name in water treatment / filtration. Simmons Manufacturing Company was founded in 1957 in historic McDonough, Georgia; off of Route I-75, thirty miles south of Atlanta. Nidec Motor Corporation (NMC) is a leading manufacturer of commercial, industrial, and appliance motors and controls. The NMC product line features a full line of high efficiency motors, large and small, which serve Industrial, residential and commercial markets in applications ranging from water treatment, mining, oil and gas and power generation to pool and spa motors, air conditioning condensers, rooftop cooling towers and commercial refrigeration. It also makes motors, controls and switches for automotive and commercial markets. 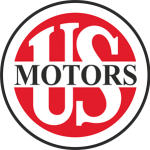 Brands include U.S. MOTORS®, SR DRIVES®, HURST®, RESCUE®, ECOTECH EZ&tm;. A leader in pneumatic pumping technology in industries worlwide since 1905 known for their innovative product, superior quality, and unmatched reliability. Berkeley Pumps has a diverse line of high performance products to serve the industrial, commercial & agricultural markets. BERKELEY pumps are the solution to the growing number of demanding applications found in the water treatment & supply, pressure boosting, agricultural and turf irrigation, water features and OEM markets in Miami and the Caribbean. The AMT Industrial Duty product line consists of engine driven and pedestal driven self-priming pumps and accessories; engine and motor driven diaphragm pumps; motor driven self-priming and straight centrifugal pumps; sump pumps; coolant pumps, rotary and piston drum pumps and accessories. McCrometer is a leading global flow instrumentation specialist. We specialize in the design, manufacture and testing of flow metering solutions , process, facility and consulting engineers worldwide have confidently chosen McCrometer’s flow meters since 1955. McCrometer’s flow technologies serve in a wide range of applications and markets. Our application engineers, researchers and designers apply their expertise in flow physics and real-world operating dynamics. The results are some of the most accurate, innovative and trusted flow meters on the market. WorldWide Electric Corporation is the largest domestic importer of electric motors, drives and speed reducers. Most suppliers will tell you that you must trade quality for low price or low price for availability. With WorldWide Electric, this is simply no longer true. With over 25 years of experience working the global supply chain, WorldWide Electric is able to provide you with all three of the most sought after buying attributes … Quality, Low Price and Availability. When other suppliers are offering products with build-to-order lead times, WorldWide Electric is able to ship same day. The Flygt brand stands for a long history of pioneering development of products and solutions for handling water and wastewater. Throughout the last half century the Flygt brand has continued to lead the submersible industry, with inventions such as the first submersible drainage pump, sewage pump and mixer. Flygt continues to be the market innovator, with technologies such as non-clog N-hydraulics, flush valves, spin-out seals and advanced monitoring and control systems. American-Marsh offers a complete line of Industrial Application pumping units. Today they offer thirteen different product lines from deep-well submersibles and self-priming centrifugals to vertical turbine and horizontal split-case pumps available in a wide range of construction materials. A.O. Smith’s One Source … Many Powerful Solutions for electric motors include hermetic, fractional, subfractional, blowers, integral horsepower and DC motors. These electric motor products range from 1/800 to 800 horsepower and include many residential, commercial, agricultural and industrial applications. Little Giant pump company is the leader in water garden products. They manufacture a large range of submersible and in-line direct and magnetic driven pond and aquarium pumps and related accessories; commercial line of sewage pump products; HVAC products, and retail plumbing products. SJE-Rhombus® provides smart solutions to today’s growing environmental challenges. We combine our 40 years of expertise in pump controls with the latest technology to deliver energy efficient, cost-effective products for a wide variety of residential, commercial, municipal, industrial and agricultural applications. Moving Water at an Affordable Price, since 1978. Burke Water Systems Manufacturing Inc. manufactures a complete line of BUR-CAM water systems and related accessories for home and agriculture. Water is pumped by almost every industry daily. Water is the most common liquid pumped on the Earth. Water is at the very core of physical life and we all recognize the important role this element plays in our existence. Pedrollo Pumps is dedicated to providing innovative ways to transfer water in many different ways for almost every conceivable purpose. American plumber offers simple solutions to complicated water problems. The product line includes quality residential and commercial application water filtration products. 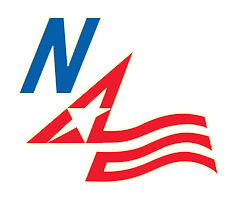 North American Electric, Inc. is a wholesale supplier of General Purpose and Special Purpose AC electric motors. We take pride in supplying high performance, high quality products at extremely competitive prices. Donald E. Hackman, Sr. and David E. Hackman founded the company in October 1993. CSI Controls ® specializes in designing and fabricating a wide variety of control systems for water and wastewater applications. CSI is home to the industry’s most capable engineering team with the ability to create complete custom systems to meet your specific needs, including PLCs, variable frequency drives, specialized digital controllers, highly sophisticated telemetry equipment and more. We Make Things Flow. Irrigation and Agricultural Hand Primers. The variety of Priming Devices manufactured at Protek Specialty is as diverse as the many industries and purposes they serve. Our primers are highly durable, and can operate with low engine exhaust pressure, engine manifold vacuum, or even manually for the Hand Diaphragm Primers. Griswold Pump Company is a well established full-line pump manufacturer, with product lines dating back over 70 years. At our facility in Thomasville Georgia, Griswold designs and manufactures a variety of pumps, including ANSI, end suction centrifugals, self-priming and submersible/vertical turbines in Miami and the Caribbean. Built on the strength of cast iron and utilizing the latest in engineered materials, Monarch Industries’ high efficiency pumps deliver maximum performance in a wide range of domestic, irrigation, industrial and agricultural applications. Shakti Pumps is a renowned company for producing stainless steel submersible pumps, energy saving submersible motors and SRN booster pumps,and various types of water pumps and motors in India and exporting to more than 70 countries all over the world. ISO 9001-2008 Certified. The Industrial Control Experts. ACI has established itself as a major manufacturer of a full line of quality industrial control products, and we continue to develop our corporate philosophy and reinvent ourselves to maintain our high levels of professional service and technological leadership.